Welcome to Mama’s Got A Brand NewBag®, we are a value-oriented company specialized in helping Mothers around the world sell and promote their artistic textiles and crafts by incorporating them into the framework of art and designer handbags crafted by well respected, international craftsman. Each bag and piece of art is carefully sewn with Diamondthreadz, a trademarked thread made from Industrial Diamonds. Why do we use diamonds in our designs? Contrary to what one may think “A Diamond Life” is – Diamonds are the hardest substance known to man. It takes a diamond to cut another diamond. From it’s humble beginning as a piece of coal in the bowels of the earth and after thousands of years of great heat and pressure it is formed. Brilliant, Sparkling with millions of prisms and facets – unbreakable.The same can be said of mothers. A woman’s bag tells the world a lot about who she sees herself as a woman. Helping other women help themselves is Magical as it is very befitting to this cause- as we are all aware of the fact that there is and will always be а сlоsе and personal rеlаtіоnshір bеtwееn a Woman and her handbag. The outside says one thing and the inside says another but just like “inner and outer” beauty – it all works together to form a piece of art sewn with an unbreakable thread. Our mission is to offer Women around the world an easier path to the business platform. We have found from our travel and research that Mothers in most countries, especially those of developing nations, are most likely the bread winners and must care for the wellbeing of the entire family. We want to assist in enabling themwith knowledge to capitalize on their talents in order to give them the financial strength and confidence to move forward and set a positive example for the generations to come. Mama’s Got A Brand NewBag®, was created in response to what we saw as a growing demand for a reliable platform for women around the world and in developing nations to sell and promote their work, on a high profile international model platform. We pride ourselves in providing a service and we quality of product that exceeds industry standards. Each work of art (handbags included) come with their own “Birth Certificate” which states the origin of the material used and the mother who stood to gain from the sell. And just like the thread each item is sewn with – we are strong and our bond is unbreakable. If you are mother and are looking for a reputable and reliable company to help you to sell and promote your textile and or art, Mama’s Got A Brand NewBag® is here for you. For more inquiry, feel free to contact us via email at: thechocolatemodel@gmail.com. 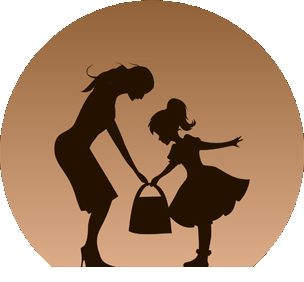 We pride ourselves on providing Women an excellent platform and great value based on request, because at Mama’s Got A Brand NewBag®, your satisfaction is our main focus, and we do the best to provide the best service possible.